Sinclair Brook is pleased to provide an update on the status of our residential Rockley Gardens project in South Yarra, Melbourne. Congratulations to VCON, who has been appointed head contractor for this Elenberg Fraser designed project by developer Metacorp. Fronting the South Yarra park by the same name ("Rockley Gardens"), the structure’s façade is designed to reflect and complement its green surrounds via the use of inbuilt planter boxes and angled mirrors. 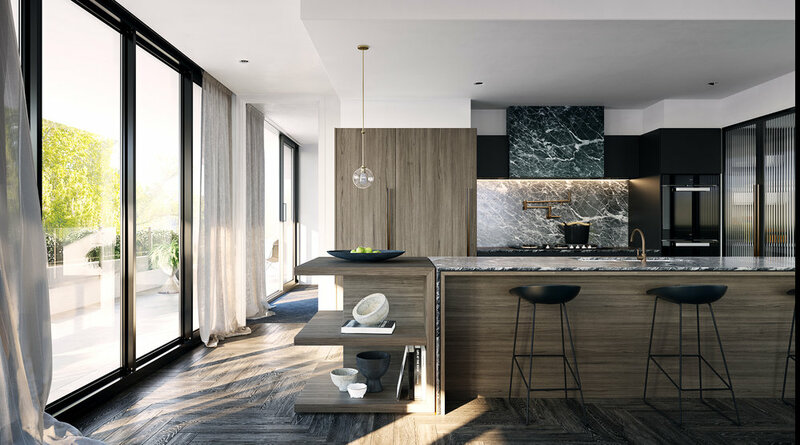 Offering cool, luxurious interiors in a bolder, darker palette than most, Rockley Gardens celebrates both elegant individualism and the soothing effect of nature. Construction of Rockley Gardens is due to begin later this year.